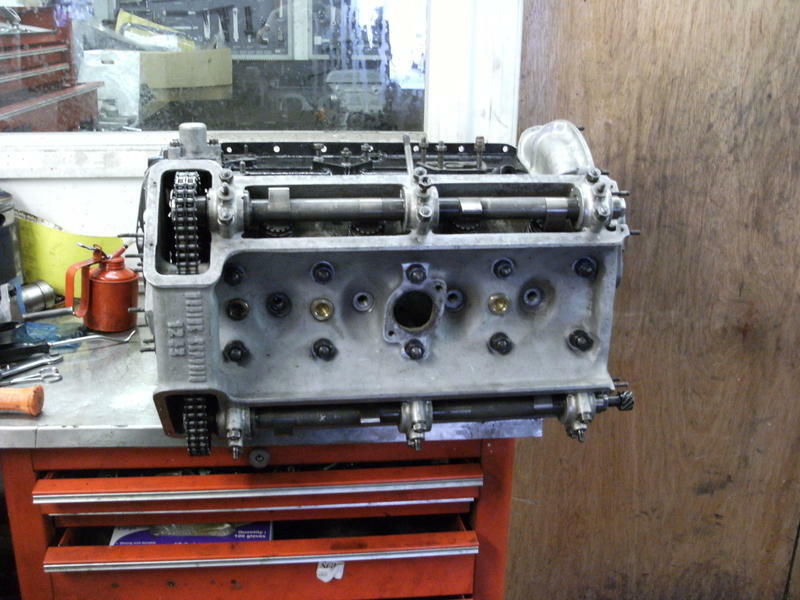 The 4C 1900 engine is really the last Alfa Romeo engine that shared a lot of features of the great pre-war cars, it can trace its roots back to the 1750, the 2300 and the 2900's amongst others. The next generation of engines found in the Giulietta onwards use a bucket and shim to adjust the tappet clearances and all share a common arcitecture. 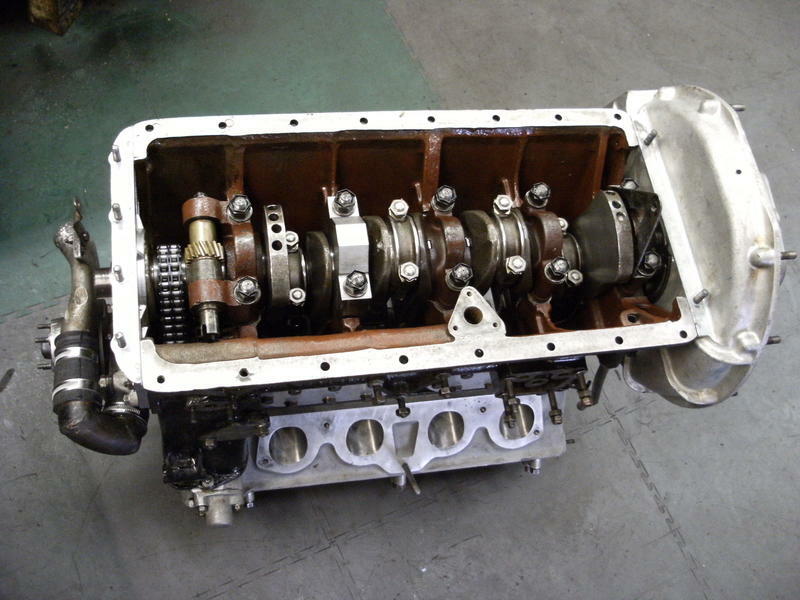 The engine produces up to 115 bhp at 5500 rpm in TI guise from its 1884 cc. The 1900 was the brain child of Dr Orazio Satta Puliga and it was his first project as Alfa Romeo's senior engineer. 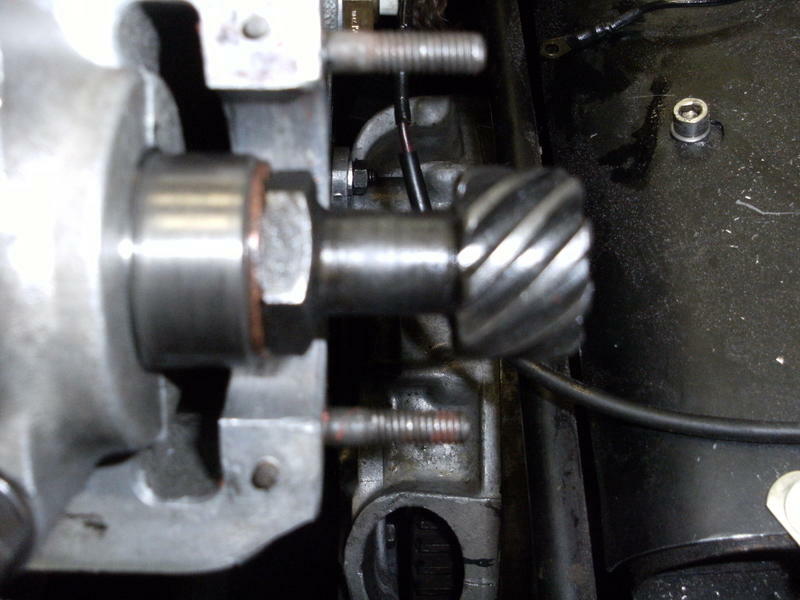 The top picture on the right hand side shows the top of the valve and the tappet adjustment, to adjust the valve clearance you depress the valve using the outer collar and then you screw the centre running face in or out to adjust the clearances, this was accepted practice for Alfa Romeo's up until this time. 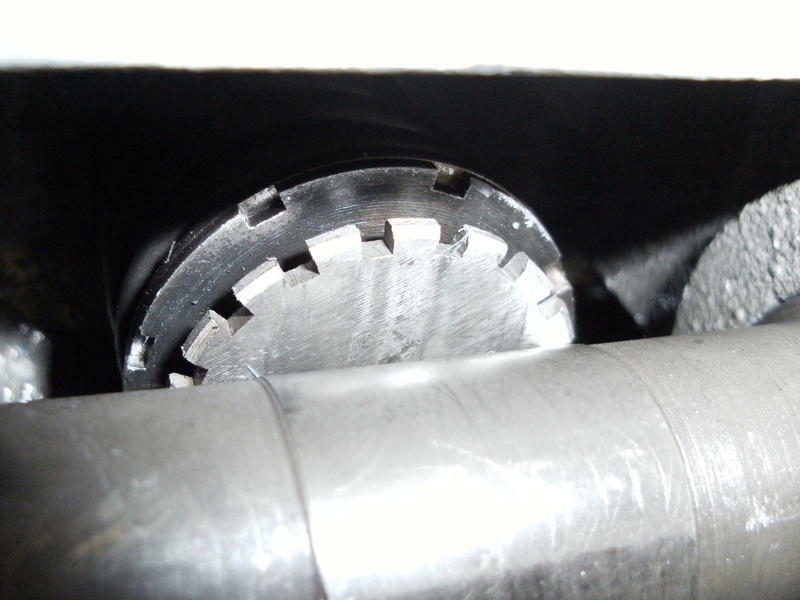 The distributor and rev counter are driven off the back of the exhaust camshaft which is timed up by a set of vernier holes in the front of the camshaft sprocket, the cam shaft has its own set of timing marks that are on the flywheel at the back of the engine together with the ignition timing marks. 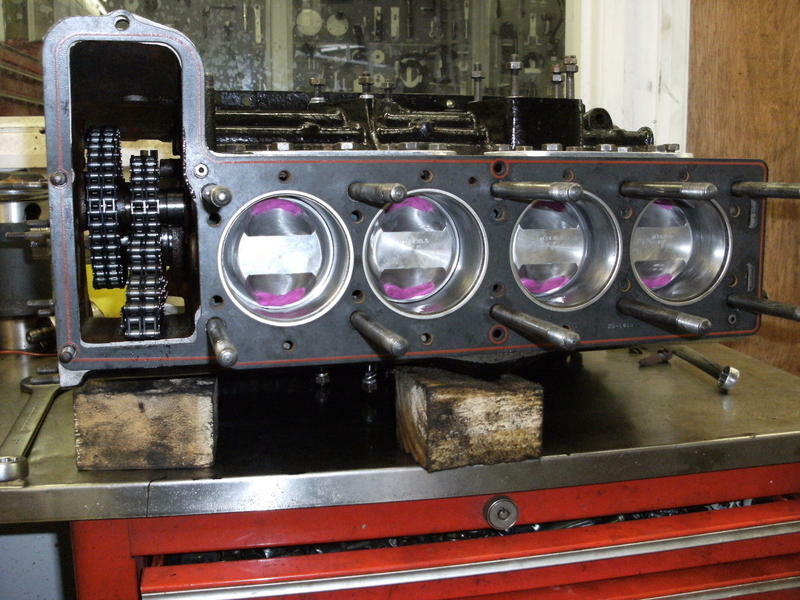 The hotter versions of the 1900 engine have considerably more overlap on the camshaft timing than the "cooking" versions. 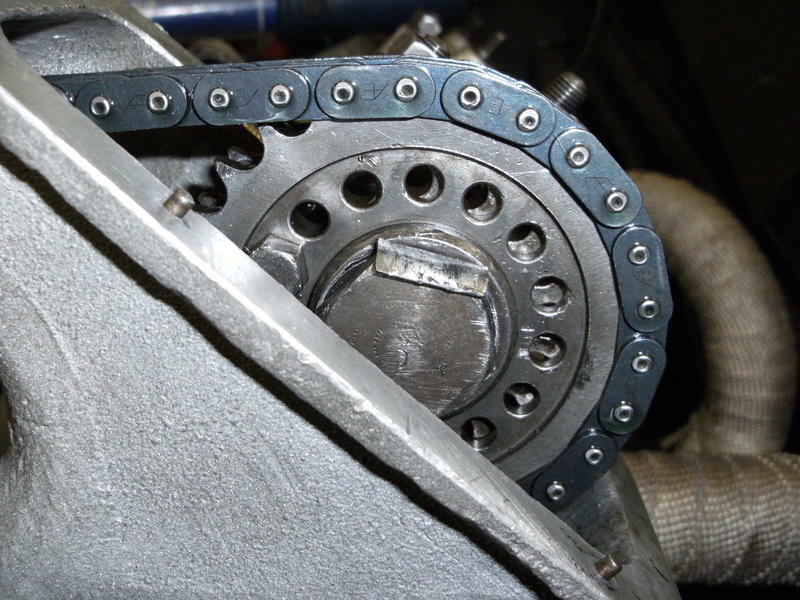 Giulietta and Giulia engines have the timing marks for the camshafts oon the camshafts, next to the first bearing. 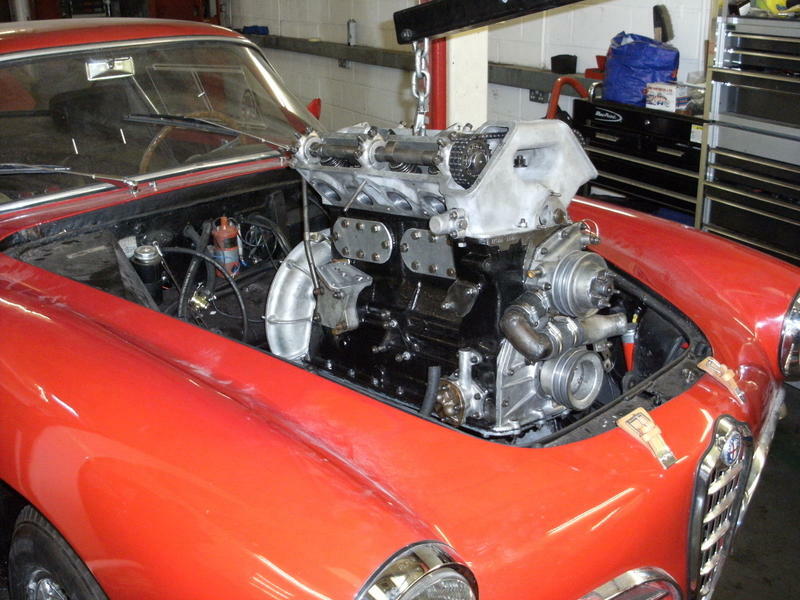 The engine in this Alfa Romeo 1900 CSS is fed its diet of air and hydrocarbons by a massive set of Solex carbs. 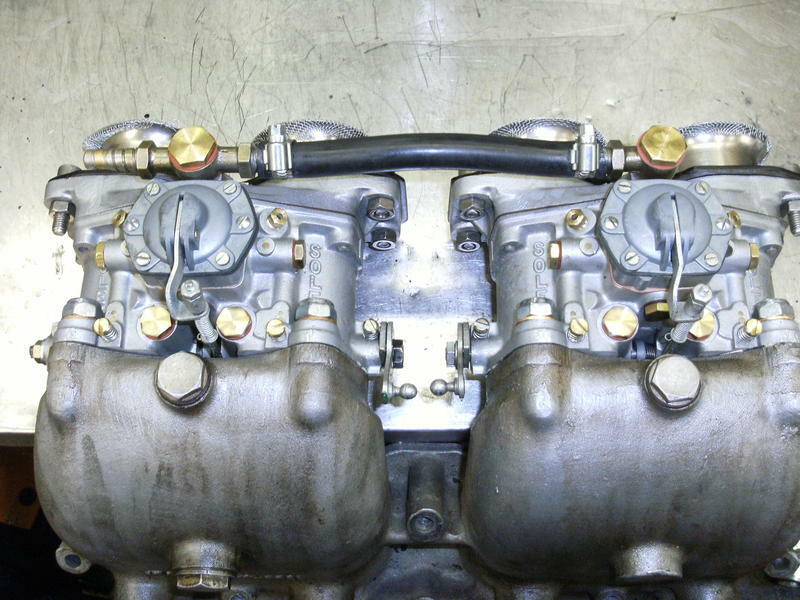 On the 1900 CSS Alfa Romeo used downdraught carbs neccatating the use of a curved inlet manifold, for the slightly later 2000 sportiva and the Disco Volante they used side draught carbs allowing the use of a straight manifold. The engine has flat topped pistons and these help to compress the mixture and improve the distribution of fuel through the charge. This was dropped on all later engines until the introduction of fuel injection on the late S3 spider in around 1988. 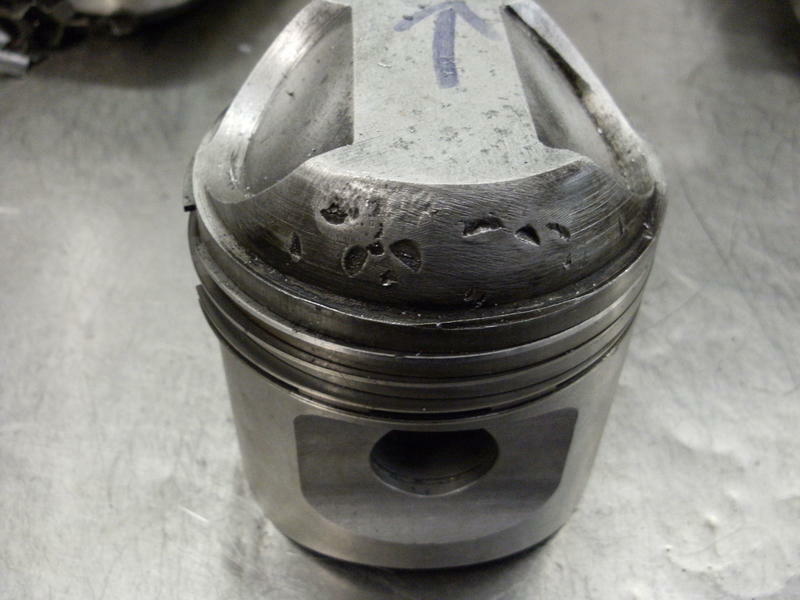 If you look at the picture of the piston on the right you can see the damage caused by the injestion of some part or other, it just goes to show you cant be too careful.